Nguyễn Thị Vui, 45, grew up in Huế and moved to Hà Nội almost 10 years ago. She sells these remarkable dumplings at a shop in Gia Lâm District. Vui said bánh bột lọc is the perfect dish – small, affordable and tasty. In progress: Nguyễn Thị Vui boils her dumplings. Vui’s mother used to order fresh shrimp from the river, known locally as tôm đồng (shrimp live in the river), and pork raised on natural foods. 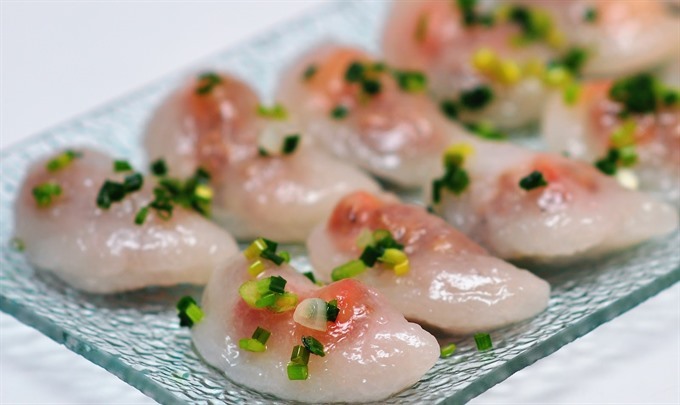 She chose a quality, traditional fish sauce to round out the flavour, making her dumplings stand out from the crowd. 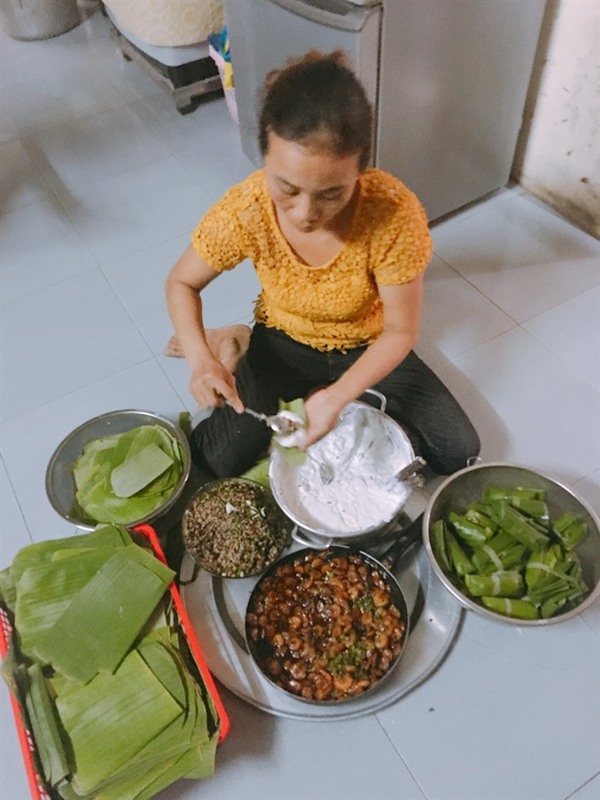 Vui said that although she moved away from Huế, she still uses her mother’s old recipe. This may be why her cakes have sold so well despite her location as far as some five kilometres from the city centre. Sixty-seven-year-old Nguyễn Bích Liên, from Hà Nội’s Old Quarter, said she often orders from Vui’s shop for breakfast because the dumplings can be refrigerated for a week. Each order is about 100 dumplings. 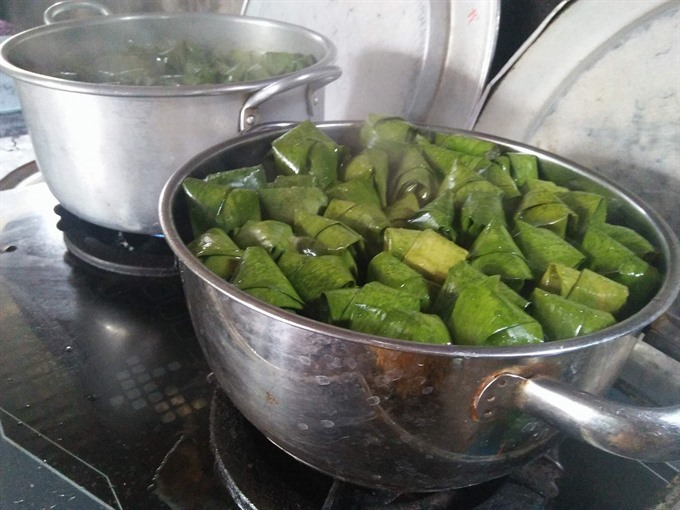 In Hà Nội’s Hai Bà Trưng, Đào Thị Viên sells bánh bột lọc trần, a variation that is not wrapped in banana leaves. These dumplings have a milky colour, and are not as thin as their cousins from Huế. Viên’s dumplings are often filled with minced pork, wood ear mushrooms and tiny shrimp. The dipping sauce is also different, made from vinegar, sugar, ground peanuts and fresh papaya. Marjoram is the only accompanying herb. Trần Thị Nguyệt, who loves the dish, said she particularly likes Viên’s bánh bột lọc trần, especially when they are served in hot broth. 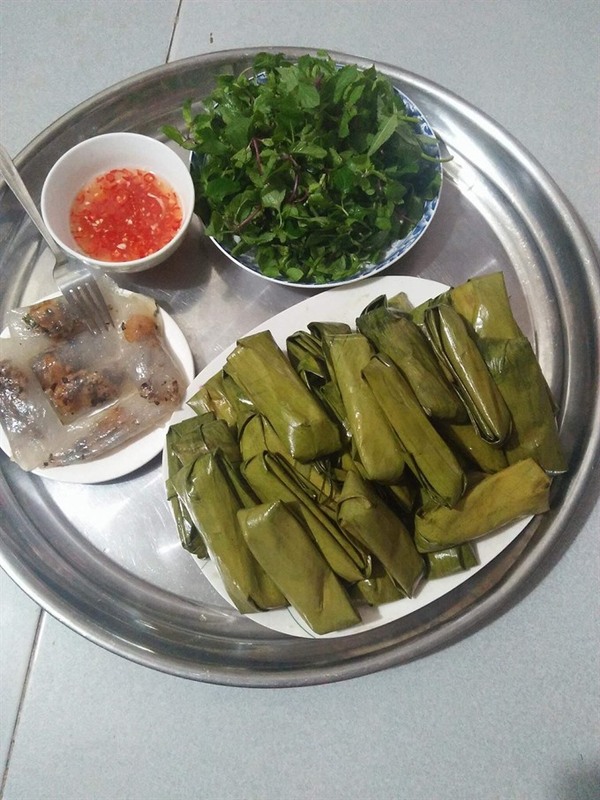 Herbalist Bùi Đắc Sáng from the Vietnam Academy of Science and Technology said the popular dish is very nutritious thanks to its high levels of protein, calcium and other nutrients. “One can eat quite a lot without gaining weight,” Sáng said.